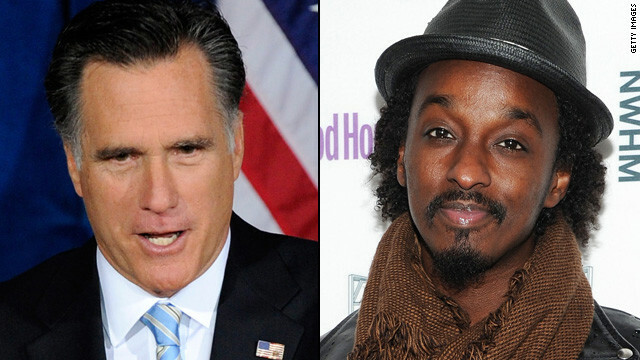 Perhaps Mitt Romney’s campaign used “Wavin’ Flag” at the Florida primary victory party to show the candidate’s patriotic side, but K’Naan, the rapper behind it, is certainly not happy. The Somali-Canadian artist said he was “dismayed” that he had not been asked for permission, and threatened to sue. The GOP presidential candidate’s team complied, telling CNN in a statement that they would stop playing the track. After this song appeared in the 1930 film “Chasing Rainbows,” Franklin D. Roosevelt’s political advisers used “Happy Days Are Here Again” before one of his speeches in 1932. “Happy Days” is also considered to be one of the theme songs for the Democratic Party. Ronald Reagan - "Born in the U.S.A."
When Ronald Reagan called Bruce Springsteen’s music as “a message of hope” and played “Born in the U.S.A.” during his re-election campaign, many were shocked. Springsteen himself was not pleased, and responded negatively to Reagan using his work. Bill Clinton first used “Don’t Stop” by Fleetwood Mac during the 1992 Democratic National Convention while on the campaign trail, and has also used it during his 2004 and 2008 appearances. He was even able to convince the disbanded group to perform during his 1993 inaugural ball, which you can see below. For his 2000 campaign, George W. Bush used Tom Petty’s “I Won’t Back Down” but had to immediately stop when he received a cease and desist letter from Petty’s publishers. In fact, the singer made his political affiliation clear by performing for Bush’s opponent, Al Gore, instead. Sarah Palin was referred to as “Sarah Barracuda” when she played basketball in high school, so it would make sense for the song “Barracuda” to be played during her vice president campaign in 2008. But the rock band Heart sent a cease and desist letter to the John McCain-Palin camp and “condemned” the song use. Barack Obama - "Signed, Sealed, Delivered (I'm Yours)"
Apart from having an original song - “Yes We Can” by Will.i.am - President Barack Obama also played popular hits like Stevie Wonder’s “Signed, Sealed, Delivered (I’m Yours)” during his 2008 campaign. Wonder performed the song live at the 2008 Democratic National Convention and at Obama’s 2009 neighborhood inaugural ball. Hillary Clinton- "You and I"
Newt Gingrich - "Eye of the Tiger"
I think all the Republican candidates should use the song "Cynical and Bitter in the US of A" by the Terry Sutton Conspiracy. Because that is what the GOP is, cynical and bitter!!! Jeez, what is it about Republicans using music without permission? So we patiently wait for that fateful day..When I get older I will be stronger They'll call me freedom just like a wavin' flag...So many wars, settling scores. Bringing us promises, leaving us poor..But look how they treat us, make us believers. We fight their battles, then they deceive us.Try to control us, they couldn't hold us, but we struggling, fighting to eat. And we wondering, when we'll be free. So we patiently wait for that faithful day. It's not far away but for now we say...When I get older I will be stronger...They'll call me freedom just like a wavin' flag. Watch the music video and you'll see the real meaning behind the song. Don't use a song if you don't know the real meaning behind it. First and foremost, congratulations to my New York Giants...We are Superbowl Champions once again despite all the obvious and outrageously blatant calls in favor of the Patriots. Hahahaha! Shame shame shame on you Mitt Romney! Your campaign team should be sued because there is a copy right law in the United States that say you cannot play, reproduce or use someone else's material for commercial or personal use without permission. And although the song was used for political and not much commercial purpose, the intent was a breach of that law. It just shows how much Mitt Romney is out of touch with everything American. 'without prejudice'......you should know, dude. These artists are all hypocrites – they are the first ones to record in Canada or somewhere else to avoid certain taxes. Check where their publishing companies are incorporated – either Vancouver or for some reason Delaware. Plus I'm sure they are terrified of actually having a logical political opinion and upsetting the sheeple that buy their product. This years republican song should be "Send in the Clowns." It's painfully obvious that most recording artists, actors etc are Leftists. Not necessarily anything wrong with that, but their bias is so PAINFULLY obvious as to be laughable sometimes. K'Naan said “I would happily grant the Obama campaign use of my song without prejudice.” Is he completely lacking in irony?? It's one of the most transparent remarks anyone could ever make. Artists blame 'The Man' and all those 'evil' rich white folks for their problems or their neighbors problems. But all the protest songs and liberal diatribes in the world wont by themselves fix things. It will take more than singers and rappers to bring to attention the white-collar criminals and crooked Politicians. And Liberal artists seem to think they have a monopoly on Hope and 'goodness'. Hope is for EVERYONE, not just liberals. I like how conservatives seem to think that somehow artists are pressured into not supporting conservatives, or that democrats assume support. Why, it couldn't be that free thinkers just don't find them appealing and do not want to support them in any way! It couldn't be that these artists might have approached the politician and not the other way around! Get over yourselves. You're not the oppressors most liberals paint you as, but you will NEVER be the oppressed. Just the eternally unpopular. Hillary Clinton should use "The B____ is Back" by Elton John if she runs again. And I say this as a Hillary supporter! Every Campaign video songs are so nice! Surly I impressed watching its. I love all the artists and songs. Thanks for published. I love it. All the artists, black or white, don't want their songs played by the repubs. I just love it!!! So the message here is republican candidates just take what they want without asking, and the democrats don't have to ask because the artists understand they aren't rapacious jackals who would kill any and all art funding if they get half a chance. I thought George W. Bush used "If I Only Had a Brain." Or Palin could have used The Waitresses "I Know What Boys Want" because that is what her entire political appeal is based on. Lol really Newt? Eye of the Tiger? All the blacks stick together, doesn't matter if they're from Somalia, Kenya, or Balticrapmore. Surprised you have internet access in there. Someone should just use "Elected" by Alice Cooper. At the end he says, "everyone has problems and personally I don't care!" That is what it is really about, getting elected. It is not about anyone actually caring about America's problems. If they did they would have some new ideas. I think he meant he would have no problem with the Democrats using his music. The word prejudice is taken out of context, and not meant in a racial way. He's prejudiced against the GOP, which is understandable. Now that comment was just stupid... he shouldn't have added "without prejudice". I'm sure a lot of people would argue that he didn't like Romney because he's white. He should be honored Romney would even consider using it. But yeah, I get his gripe that Romney never asked for permission. That's his only valid point. Need to work on our comprehension skills...prejudice in this use means that he would not put any stipulations on its use...like when and where. It has nothing to do with race. Unfortunate you seem to think this does. Why on earth would he be honoured for Romney to use his song? I find it funny that the artists seem to have a real problem with all the Republicans using their songs. Says a lot, huh? Yeah, I noticed that too. Every Republican gets sued, while the artists probably aren't even asked by the Dems are are cool with it. Permission my foot, but hey- so many would proably have their career in jeopardy if they allowed a conservative to use their work. Sad really. Yes, It says that the majority of songwriters are liberals. Sadly, most of them are just as willing to force their political opinions on the world as they are to write cease and desist letters to presidential candidates. The GOP guys and gals will find another song to use. In fact, I was thinking that Mitt might switch to a more "Conservative-friendly" David Allen Coe song. But alas, it will never happen. The black artists can write songs for a (half white) president – but the white artists will be 'condemned" for writing a song for a white candidate. It's not funny and it doesn't say a lot. It simply says that most artists don't want to associated with the negativity, bigotry, and treasonous lies of the Republican Candidates. Yes, it says how-of-touch the rght wing is with mainstream America.